Shares in Goldcorp Inc (NYSE:GG, TSX:G) added 3.9% on Tuesday helped by a stronger gold price and after the Vancouver-based company announced 2016 production and cost figures and gave a positive outlook for this year. 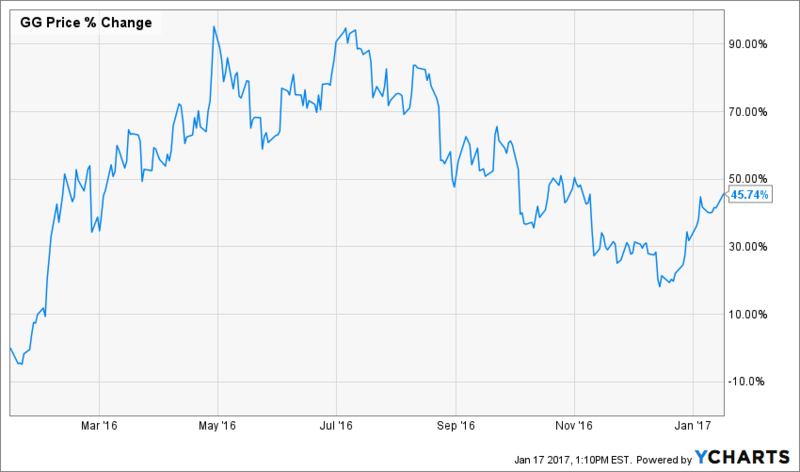 Goldcorp, worth $12.8 billion in New York after rising 11% so far this year, announced preliminary gold production for the fourth quarter of 761,000 ounces bringing full year 2016 output to 2,873,000 ounces. The company said all-in sustaining costs for the full year are expected to be at the low end of its original guidance of between $850 and $925 per ounce. It's been a busy start to the year for the world's number four gold miner in terms of output. Last week Goldcorp said it will receive $438 million worth of cash, stock and other assets by selling its Los Filos gold-and-silver mine in Mexico to Leagold Mining Corp (TSX-V: LMC-H). That transaction followed a smaller deal where the company entered into an agreement to sell its Guatemalan Cerro Blanco gold-silver project to Bluestone Resources Inc. (TSX-V: BSR). According to the statement, Goldcorp expects to produce approximately 2.5 million ounces of gold in 2017, in line with its previous guidance after accounting for the disposals and the closure of its Marlin mine in Guatemala. AISC are expected to be approximately $850 per ounce for the year. 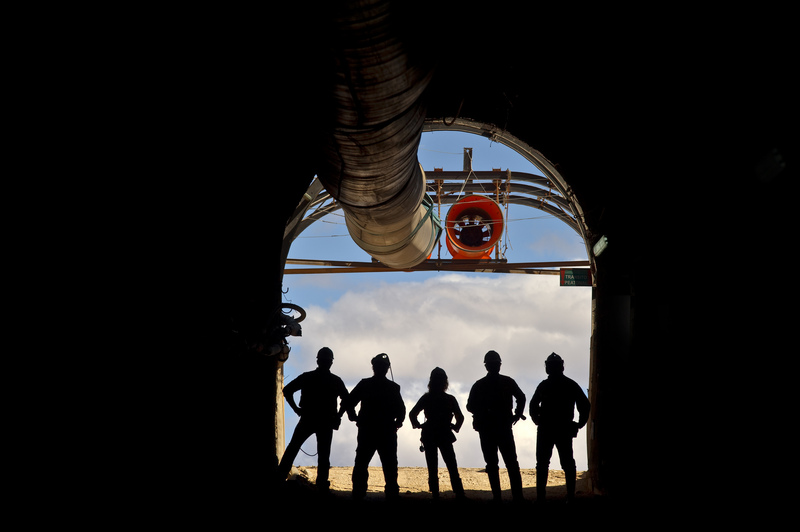 Goldcorp has set itself some ambitious targets for the next five years. The company expects gold production to increase 20% to approximately 3 million ounces, excluding potential production from its Canadian projects and its NuevaUnión joint venture in Chile. The company also has aggressive cost cutting plans and forecasts AISC to drop by a fifth to around $700 per ounce over the next five years. Reserves are expected to increase 20% to 50 million ounces over the next five years from the conversion of existing resources at its Century project in Ontario and flagship mines Peñasquito and Pueblo Viejo.